Non-bank providers are failing to make a real dent in the US$117 billion per day global business FX market, a new report from market analysts East & Partners (E&P) has found. The exclusive report, titled “Business and the US$117 billion a day market: A study of global business Spot FX behaviour”, has found that although the daily spot FX market grows, the contribution from big and small businesses has continued to decline, with no signs of reversing. Total spot FX volumes traded by businesses across Australia, Canada, Singapore, the UK and USA have fallen by around 42 percent since 2012. In the same period, Australian businesses’ contribution has plunged by 75 percent, while those in Canada and the UK also show significant declines of around 38 percent. As the total business spot FX market shrinks, competition between providers intensifies. E&P’s report highlights that traditional domestic and international banks dominate across the globe, with non-bank providers unable to replicate their retail success. Across all business segments globally, non-bank providers account for around 11 percent market share. Only 15 percent of businesses in the United Kingdom use non-bank providers, and a staggeringly low one in twenty across the US, Hong Kong and China. In contrast, Australia proves to be a regional outlier where around one in four businesses primarily use a non-bank provider to execute their Spot FX transactions. However, that figure is largely driven by Western Union Business Solutions (WUBS) SME market share of 21.7 percent. The report also highlights an opportunity for credit card payment services such as MasterCard, Visa, UnionPay and American Express. Micro businesses and SMEs around the world are utilising personal credit cards in lieu of FX management strategies to cover the cost of foreign payables. An average of around 37 percent of Micro businesses and SMEs reported the use of personal credit cards as a Spot FX payment tool, while that figure nearly doubled in China (71 percent). Chinese corporates are also more than three times as likely to use credit cards to cover outstanding FX payments as the market average. “Compared to their global peers, Australian importers and exporters are more willing to look beyond their bank for their Spot FX transaction needs. “Although major domestic banks maintain their dominant market position, boutique providers are luring in business customers with the promise of lower execution costs and, superior digital platforms. 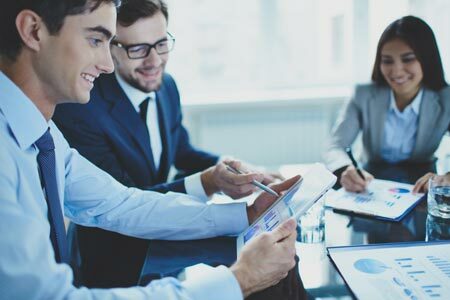 ”Additionally, this report has found CFOs are considerably more prevalent among Australian SMEs, suggesting that those businesses have more resources dedicated to FX risk management. “Many of the extensive benefits associated with recently ratified Free Trade Agreements, and soon to be ratified with the UK for example, will be negatively impacted by inadequate or inappropriate currency risk management solutions that simply too many small businesses owners continue to operate. “The Asian market is proving to be a tough market for non-bank providers. The report shows that Asian businesses, particularly in China and Singapore use branch networks in addition to online platforms and phone to execute their spot FX transactions at a much higher rate than other regions. “Although UK businesses have reduced their spot FX volumes by more than a third over the last four years, they remain highly exposed to currency fluctuations and increasingly in the volatile post-Brexit vote markets. “The vast majority – around three quarters – of small businesses exclusively use Spot FX solutions for their foreign payments. However, there has been a slow but consistent growth in the use of hedging FX products by small business in the UK in the last few years, as these businesses seek to reduce their exposure to this FX risk.